Royalty-free stock illustration of a sick little boy lying in bed with a warm blanket. He’s got a thermometer in his mouth and an ice pack on his forehead. Royalty-free stock illustration of sick little boy in school clothes, standing up and blowing his nose. He has an annoyed look on his face. Royalty-free stock illustration of a sick young boy shivering from a fever and holding his stomach. He’s grimacing with pain and looks miserable. 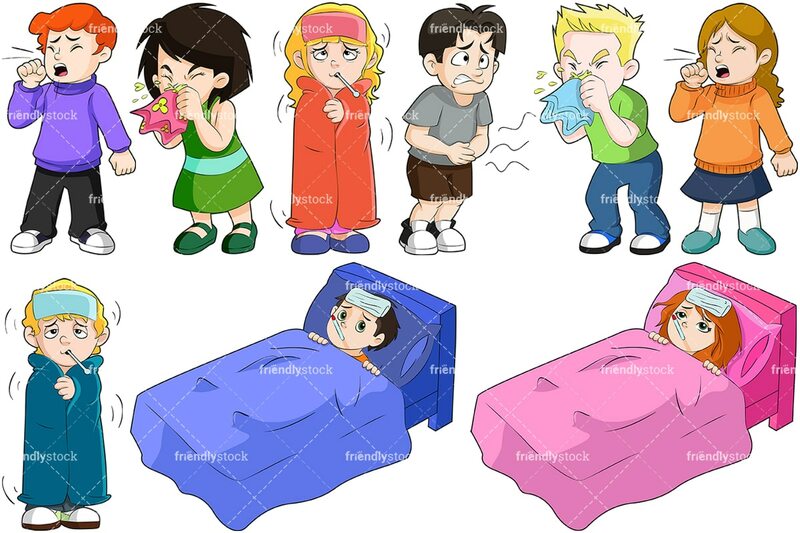 Royalty-free stock illustration of an ill young boy standing up, shaking with fever, wrapped in a blanket. He’s got a thermometer in his mouth and a cold pack on his forehead. 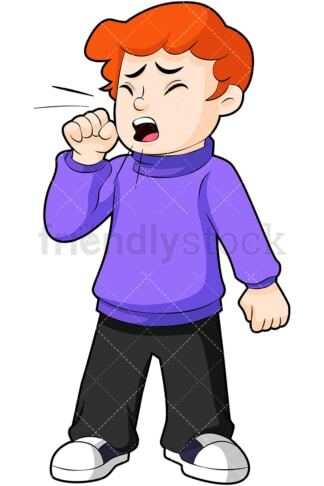 Royalty-free stock illustration of a coughing young boy who’s dressed for school but looks like he may need to go home sick. 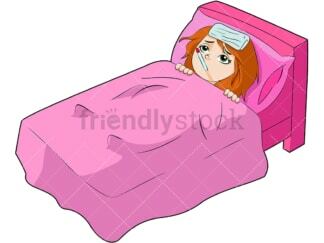 Royalty-free stock illustration of a little girl home sick in bed under a warm blanket wearing an ice pack, with a thermometer in her mouth. Royalty-free stock illustration of a little girl coughing and not feeling well who may have to go home sick. 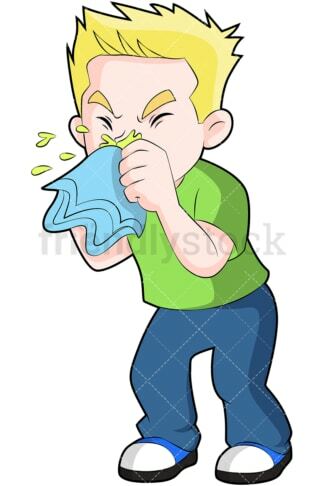 Royalty-free stock illustration of a sneezing little girl blowing her nose with a handkerchief. She looks like she’s feeling miserable! Royalty-free stock illustration of a little girl who’s not feeling well. She’s wrapped in a blanket and has a thermometer in her mouth with a cold pack on her forehead.